A Thailand visa is not necessary for tourism or transient stop-over if you plan to stay 30 days or less. If you will remain in the country for more than a month or your purpose for travel is other than tourism, you will be required to get a visa. You can either apply for a visa to Thailand yourself or you can authorize a Thailand visa expediter to submit the application for you. Visas to Thailand are affixed in your passport on the pages specifically marked for them. 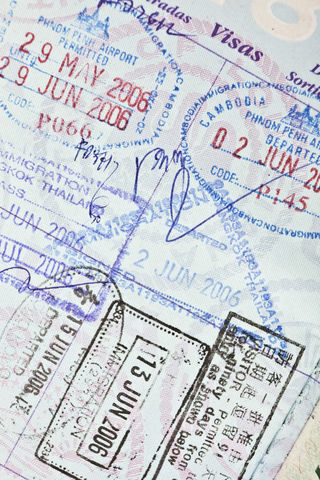 Countries require that visa stamps be placed on those pages that do not contain any other stamps. There is only one Thailand visa application form for every type of travel visa. The Thai Visa Application is in .pdf format. You will need the free Adobe Acrobat Reader to open and print the document. You probably have it on your computer but if you don't, you can get it here. This type of visa is for tourism or visiting family or friends. Travelers with this type of visa will be permitted to stay in Thailand for a period of not exceeding 60 days. The validity of this visa is 3 months or 6 months. If you decide to stay longer or want to change the type of visa you have, you must file an application for permission at the Office of Immigration Bureau located on Soi Suan Plu, Bangkok. 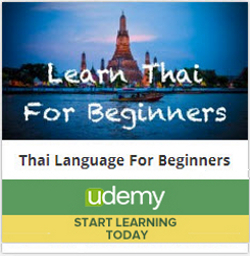 Heading to Thailand for business? You'll need a Non-Immigrant Category "B" visa. You can participate in negotiations, market research, exporting operations and the like for up to 90 days. Besides the documents listed above, you will also need to present the following in order to get a Thailand business visa.